This will protect vehicles, boat and other large object from wind, rain and other weather. 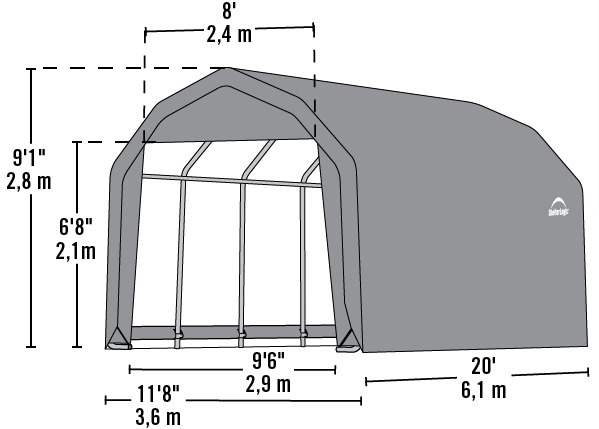 This portable barn style garage is great when you do not want or need a permanent structure. The cover is triple layer, heat bonded polyethylene that is specially woven for strength. It is 100% waterproof. The cover is UV treated and treated with fade blockers. Anti -fungal treatment will prevent mold and mildew. 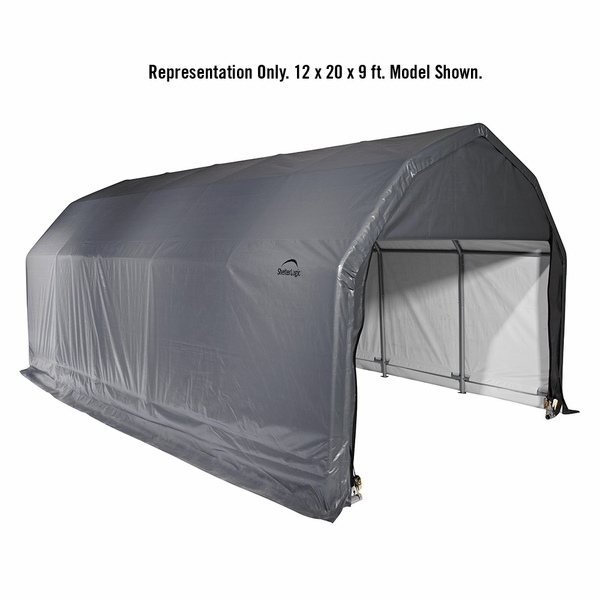 The structure is made by Shelter Logic and has a one year warranty.